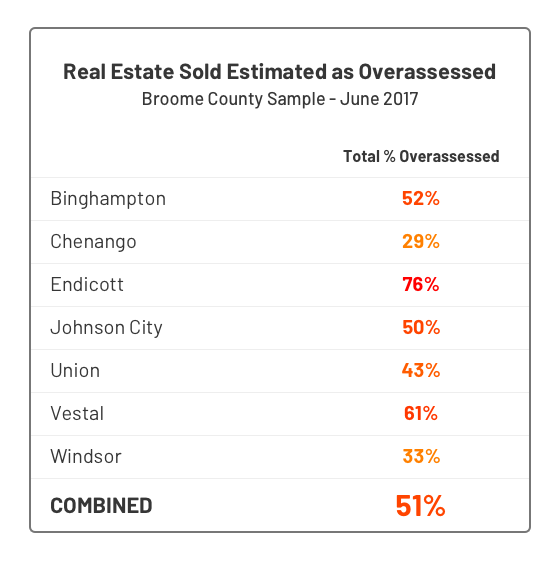 Why Are Property Assessments in Upstate NY So Unequal? 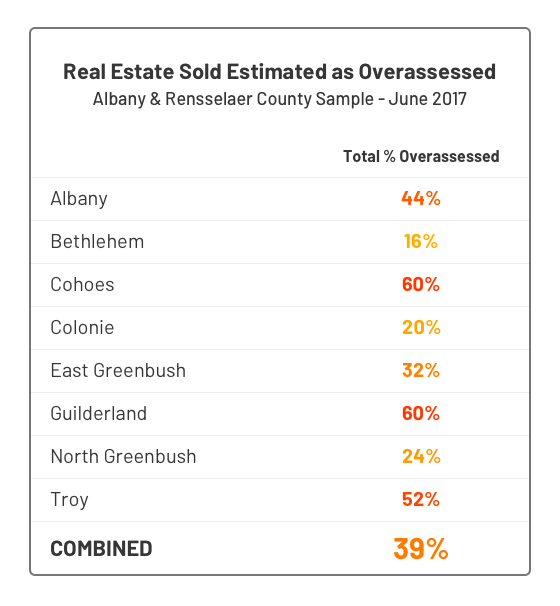 To find out how properties in Upstate NY were assessed relative to their sale price, we analyzed samples of real estate sales in five areas of Upstate NY during the month of June 2017. 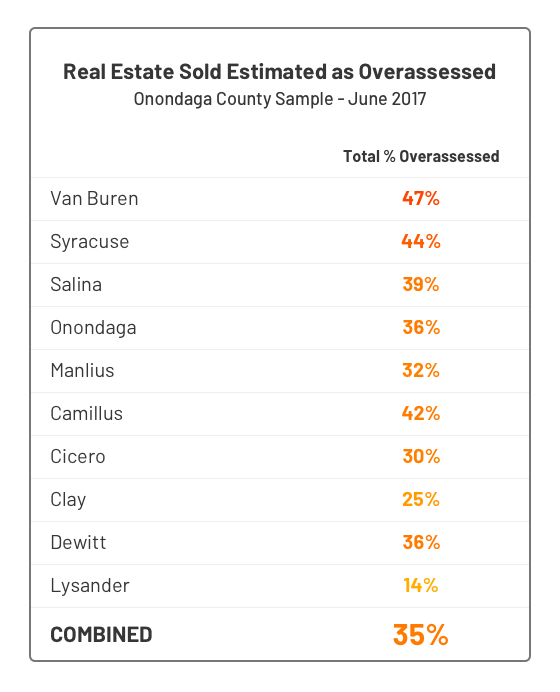 How varied and inconsistent the assessors' outcomes are from town to town within a given county, as well as from county to county. 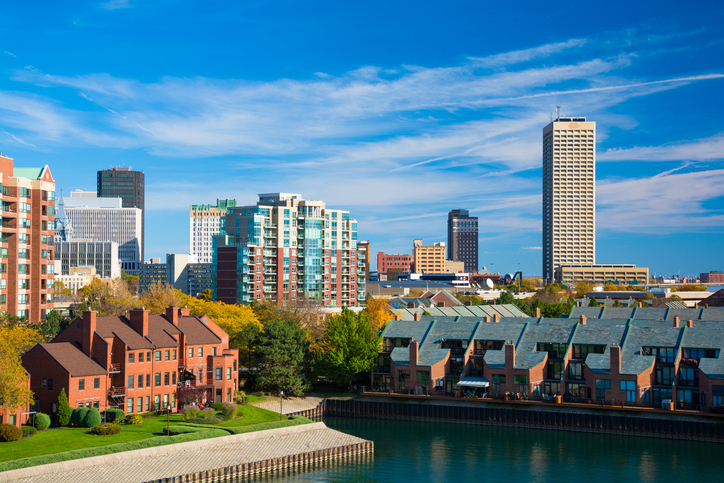 The equalization rates for each municipality for 2017 are shown and were used as the variable to adjust the assessments closer to their market value. 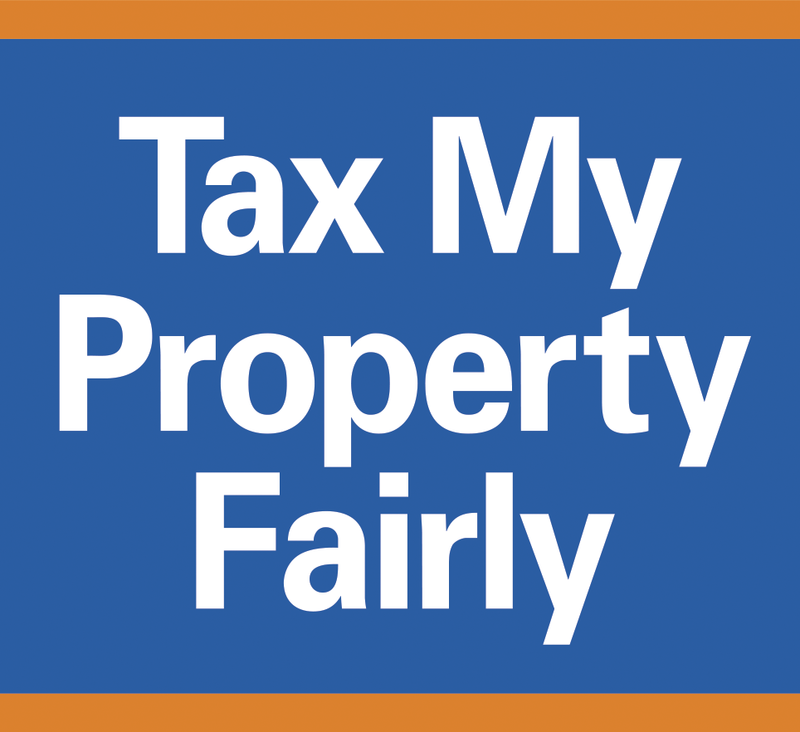 This variable was used, as it is the State's estimate of difference between the Assessed Value of a town to the Market Value of a town. 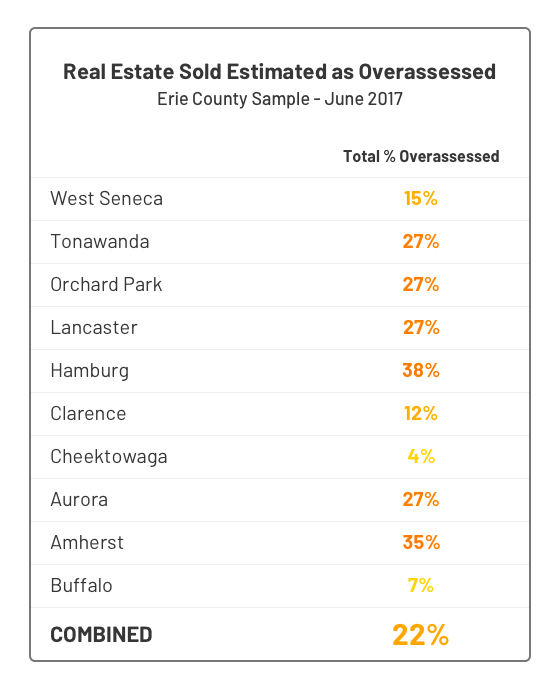 Even in circumstances where a 100% equalization rate has been assigned, that this does not mean that home sale prices will equal the amount they sold for. 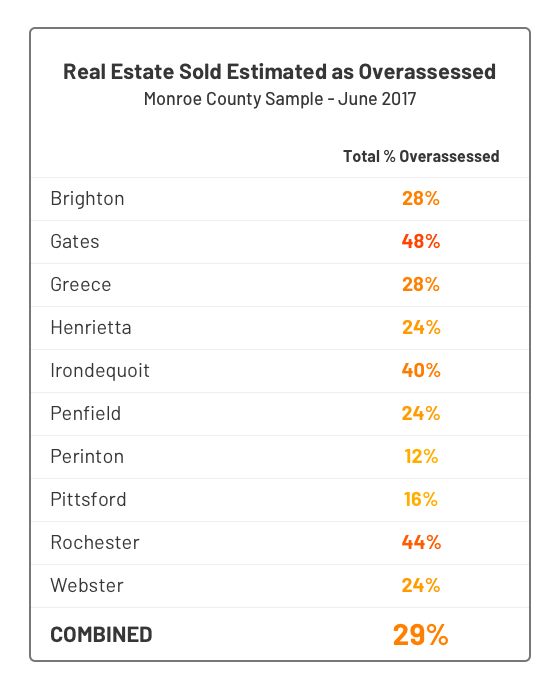 In many towns analyzed, in more than half of transactions, the adjusted assessments were higher than the sale price.